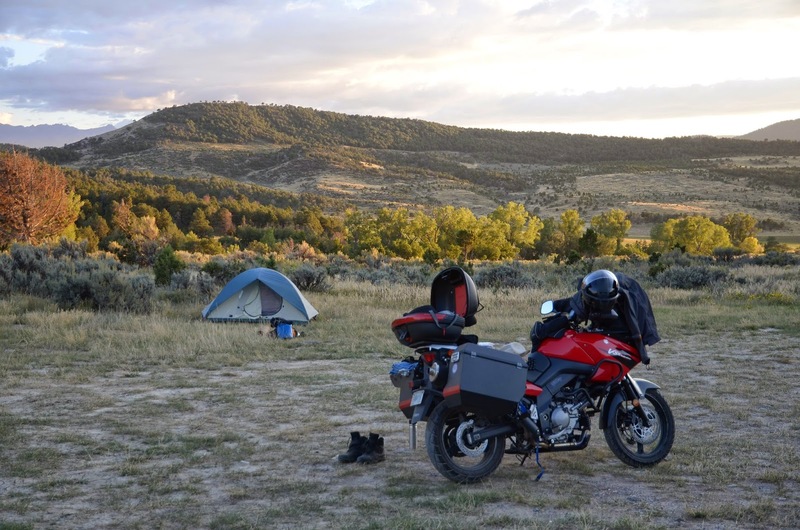 I spent a couple of weeks in September wandering around the Southwest by motorcycle, mostly camping in national forests and other public lands, which there is no shortage of in this region. Many of the places I wanted to revisit were favorite areas I've done lots of backpacking and exploring in, such as the San Juan mountains of southern Colorado and the Blue Range Primitive area of southeastern Arizona. These are also areas discussed as bug out locations in my book: Bug Out: The Complete Plan for Escaping a Catastrophic Disaster Before It's Too Late. Riding the Suzuki Vstrom 650, I was able to leave the pavement for long stretches of exploring unpaved forest service roads. A lighter, more off-road capable bike would be e even better once there, of course, but with all the highway and interstate riding to do the 3700-mile trip out and back from Mississippi, the DL650 was a good compromise. I plan to post a more detailed account of the trip with more photos on my main website soon, but wanted to share a couple of photos here too. Those of you living out West are fortunate to have access to so much publicly accessible wild land for exploring, camping, hunting and in the worst-case, as potential bug-out locations. Also, don't forget that I'm giving away a free copy of Refuge After the Collapse (Book II of The Pulse Series) every Friday of this month to subscribers to my newsletter. Last Friday's winner was Wayne in Fort Edward, NY. Today's winner will receive notification through the newsletter list, and will be announced to the rest of the list later today or tomorrow. There are three more Fridays in this month, so if you haven't won a copy yet, hang in there, you've still got a chance. Very nice re-cap of your trip. I'm guessing why a lot of the West remains uncluttered to this day are the lack of dependable rainfall and the vast distances there are between pockets of civilization. Really pretty though - desert nights rock ! That picture of SW Colorado reminds me of the 4 Corners region vacation we took about a dozen years ago. Aztec - Durango area. Gorgeous. I'm thinking by now, some of those mountain passes in the higher elevations are becoming snowed in - pays to check before you travel. Thank you for the multi-tool link. Knives and tools are one of my favorite OCD activities. I will get a lot of reading out of that one - Thanks! Thanks. The first photo from SW Colorado is from a wildlife refuge north of Ridgeway. I got there by way of Hwy 550 (AKA "The Million Dollar Highway" from Durango to Ouray. No snow yet when I was there, but there probably is now. I went to Four Corners Monument too, as well as Mesa Verde NP. 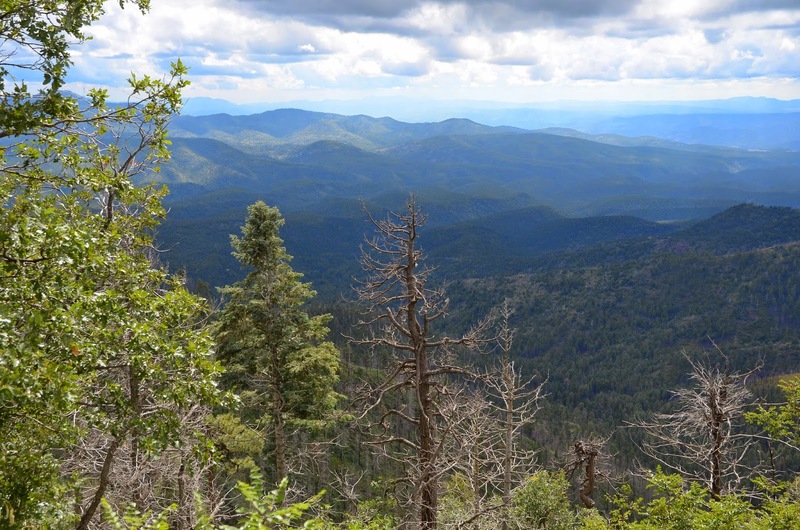 It's surprising how much water availability there is in some of the big wilderness areas out there, like the Blue Range Primitive Area and Gila Wilderness in particular. With water, plentiful game and rugged terrain, those areas were favorite hideouts for the Apaches. I ride a 650 V-Strom too. While I've taken it on off road occasionally I find it very top heavy. It's unusable,at least for me, in deep, sugar sand like we have in Florida. But then I have strictly highway tires on it. I have pretty much relegated it to my highway bike. I even geared it up with the big V-Strom gearing for better mileage. About 4 years ago I took it on a 10 day trip on the Blueridge Pkwy. It excels at that of course. About 5 years ago I threw my Yamaha XT-225 in the back of the pickup and went to Silverton, CO. Met up with 8 guys and we road all the high passes. Crossed the continental divide in several places. Then spent a week in the Moab UT area riding in the red sand. So I keep my XT-225 for the good off-road stuff. So I know you had a great time. That's for the blog to read. You're right about the Strom, of course. It is top-heavy and especially when loaded down with camping gear. It's fine on forest service roads and some rougher two-track, but out there in the West, as you know the rocks in the road can be big chunks and it's a lot trickier handling a top-heavy bike in that stuff. It excels as an all-arounder though and was fun on the paved mountain roads. I'm sure the Yamaha XT-225 was great out there. I don't have anything more dirt-worthy at the moment. I left my HD Road King at home for this trip so I could at least get out on the gravel roads. I have a KLR 650 with Happy Trails panniers and my Savage 24C camp gun in .22/20ga. fits in either one just perfect. It'll put down just about anything to shoot at out there, but I'd rather not use it on a grizzly or a bison. But hey, food is food. A bivy tent, some cookware, a little pack rod, and I'm good. Steven, the KLR 650 is ideal for that purpose. I had one for a couple of years and there were times on this trip when I wished I still had it for getting farther off the beaten track. Thanks Dan, good to hear from you!